Grand Theft Auto III 3 STEAM KEY REGION FREE GLOBAL 96 р. Grand Theft Auto III - Steam Key - Region Free / GLOBAL 115 р. Grand Theft Auto III Steam Key Global 120 р.
GTA: Grand Theft Auto III 3 (STEAM KEY / ROW) 129 р. Grand Theft Auto III 3 Eu Steam Cd- key 147 р. Grand Theft Auto III (Steam Gift / RU+CIS) + Подарок 149 р. Grand Theft Auto III (Steam | Region Free) 209 р. 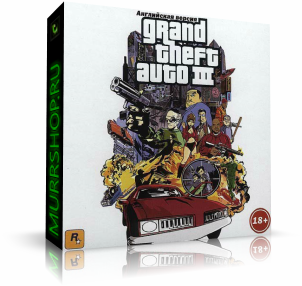 Grand Theft Auto III (STEAM GIFT RU/CIS) 249 р. Grand Theft Auto III (Steam Gift | RU) 340 р. Grand Theft Auto III ( Steam Gift | RU+CIS ) 349 р. Grand Theft Auto III (steam key) -- RU 354 р.